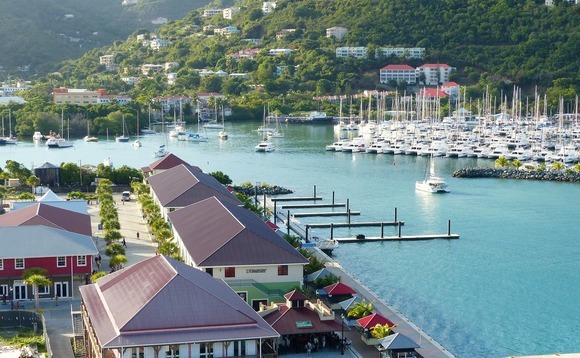 The new economic substance law in the British Virgin Islands came into effect on January 1st, but the financial industry is still uncertain about its requirements and has several questions about the impact the new rules will have. As mandated by the EU, the law requires offshore financial services companies registered in the BVI to set up physical, appropriately-staffed office spaces in the territory, if they are to continue doing business with/through the BVI. "We are looking to get that [answers] to them through guidance notes from the International Tax Authority, which is the government entity that is responsible for the implementation of the new law. And then we ourselves will issue further briefings to the industry to give them that level of clarity that they would need on their many questions," Interim Executive Director of BVI Finance, Lorna Smith, said. "We are looking to get that [answers] to them through guidance notes from the International Tax Authority, which is the government entity that is responsible for the implementation of the new law. And then we ourselves will issue further briefings to the industry to give them that level of clarity that they would need on their many questions"
Premier Orlando Smith had already stated in a press release that the BVI's International Tax Authority plans to issue a "guidance note" to address the questions. The British Virgins Islands is still waiting to know whether the European Union accepts the territory's Economic Substance (Companies and Limited Partnerships) Act that was recently passed in the House of Assembly. "[We are] waiting until I suppose mid-February to know what the decision of the EU will be. We have no reason to be pessimistic but we'll have to wait and see," Smith added. In late 2017 and early 2018, the EU placed the BVI, the Cayman Islands, Bermuda and the Crown dependencies on an anti-tax-avoidance "grey list" due to concerns relating to "economic substance." It threatened to blacklist the BVI as a noncompliant tax jurisdiction if the territory does not satisfactorily address their (the EU's) concerns about a term referred to as ‘economic substance'.